The 'Shahenshah' (Emperor) of Bollywood, one of the biggest movie stars in the world, Amitabh Bachchan’s popularity is unlike any this nation has ever seen. Lovingly called by fans as Big B, Amitabh Bachchan, 75, has been busy filming his upcoming next film titled Thugs of Hindostan with Aamir Khan, Katrina Kaif and Dangal fame Fatima Sana Shaikh. That said, reports have now come out stating Amitabh Bachchan had fallen sick at the shooting spot of Thugs of Hindostan and that top doctors from Mumbai are flying in to attend to the iconic actor. Meanwhile, Amitabh Bachchan took to his official Tumblr page to update his fans regarding his health saying a team of doctors will be meeting him today morning, after which he will take adequate rest and keep his followers informed. 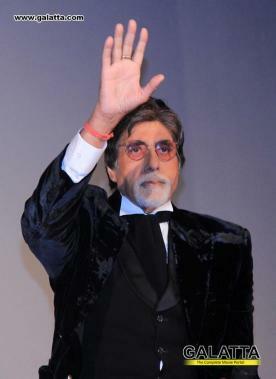 It is quite heartening to see the legendary actor being calm and staying cool about his health. Team Galatta wishes him a speedy recovery and good health in the future ahead. On the film front, Amitabh Bachchan’s next release will be 102 Not Out with another Bollywood icon, Rishi Kapoor; a reunion on the big screen after 27 years.